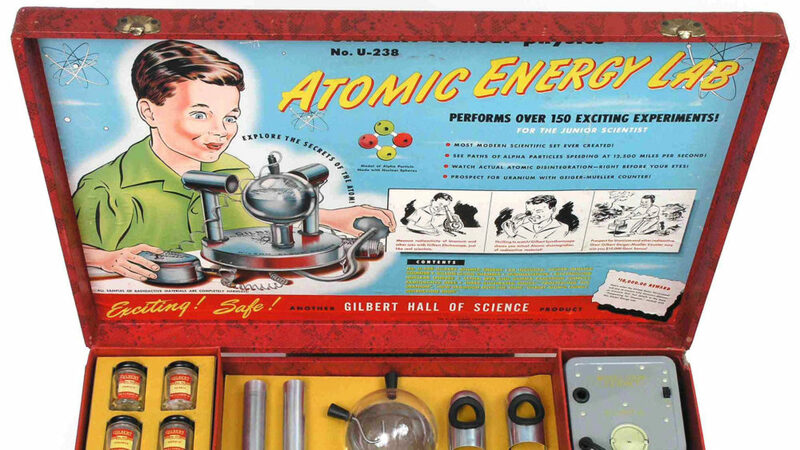 A.C. Gilbert Company, “U-238 Atomic Energy Lab” (1950-51), via Wikipedia. The Cold War was a global political and ideological struggle between capitalist and communist countries, led by the two surviving superpowers of the postwar world: the United States and the Union of Soviet Socialist Republics (USSR). “Cold” because it was never a “hot,” direct shooting war between the United States and the Soviet Union, the generations-long, multifaceted rivalry nevertheless bent the world to its whims. Tensions ran highest, perhaps, during the “first Cold War,” which lasted from the mid-1940s through the mid-1960s, after which followed a period of relaxed tensions and increased communication and cooperation, known by the French term détente, until the “second Cold War” interceded from roughly 1979 until the collapse of the Berlin Wall in 1989 and the dissolution of the Soviet Union in 1991. As the following sources reveal, the Cold War reshaped the world, and in so doing forever altered American life and the generations of Americans that lived within its shadow.